Great tutorial. Took me forever thanks to older patches getting in the way. 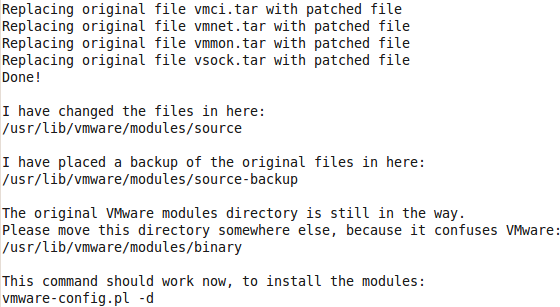 You might want to make a note to remove old entries from /usr/lib/vmware/modules/source. (Anything with old in it at least). One other note: you don’t need to enable the root login to make this work in ubuntu. You can just set whatever user you like as the Administrator. I set myself and it works just fine. Thanks ruchi for the excellent article. Thank you very much for this tutorial – it was very helpful. In the end I was able to get up and running on my Ubuntu 9.10 machine and all is well. it was very very helpful. 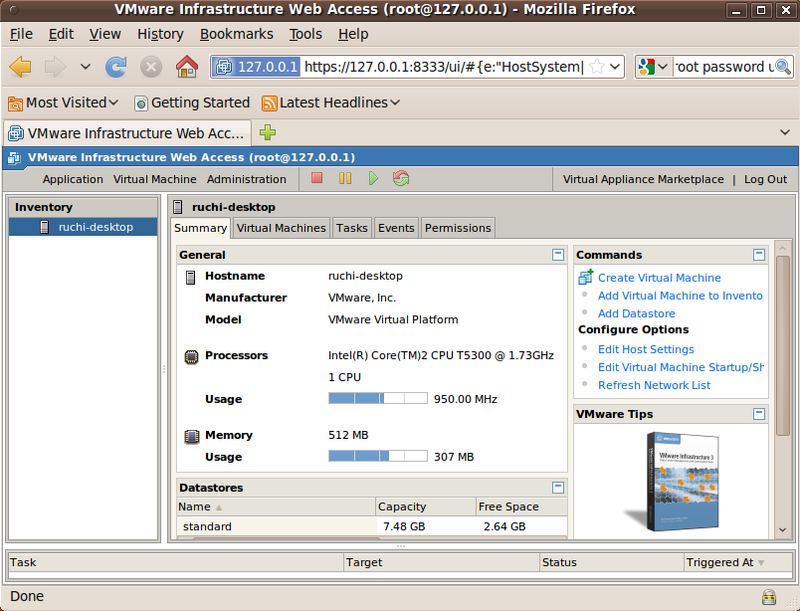 I’m recently installed vmware server on a freshly installed and updated of version of Ubuntu 9.1. I’m almost positive this is caused by the patched versions that were installed. Is there some way I can run the script without recompiling? Or, make the version I have work? This is the straight up pimp version of documention for installing vmware on Karmic Koala. Thanks for making it noob-proof. Thx for the tutorial. But I cannot bring up the web interface? Fantastic tutorial. Got it working first time thanks to this. Thank you! 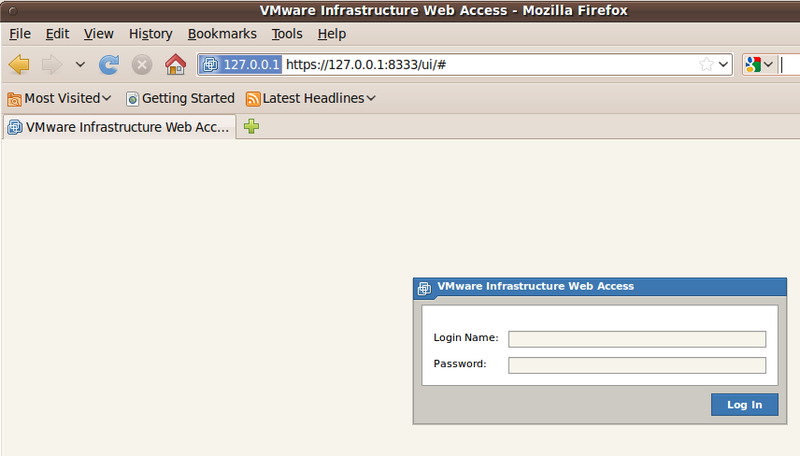 I solved this through this link http://ubuntuguide.org/wiki/Ubuntu:Intrepid#Keyboard_errors_in_VMware_guest. Thanks! Hawe worked fine for me! Many thanks! 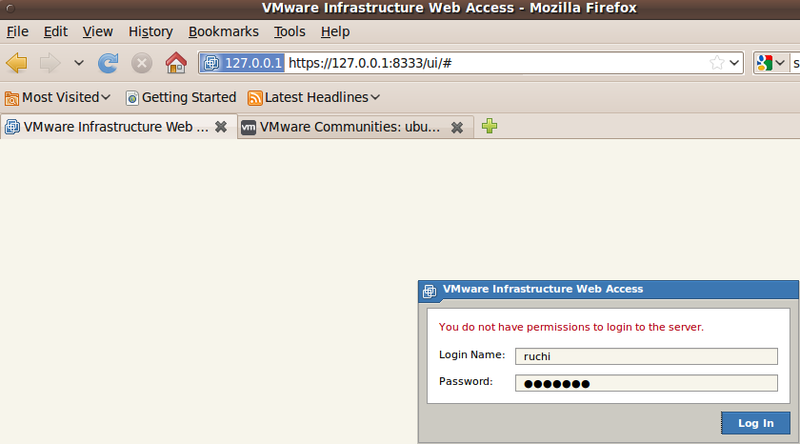 Have problem with HTTPS acces to WMware Infrastructure webacces panel on Firefox. Some issue vith certification…! Trying to find out…! Use the http://localhost:8222 access on Firefox 3.5.7! Port 8222 is default setting in WMware setup script! This tutorial does NOT work with VMware Server 2.0.2. 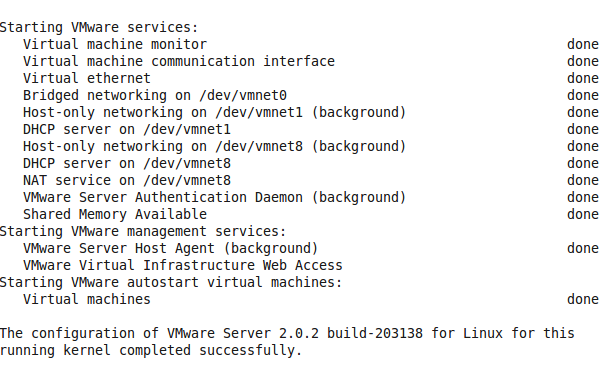 Tried the latest 2.0.2 vmware server dist. built on my Karmic Ubuntu. Tried every published hack available. I got 2.0 installed on a fresh install of 9.10, with all updates applied, but my mouse and keyboard are not behaving. Basically the mouse only works in the upper left hand quadrant of an XP window (fresh XP install as well on a new VM). Outside of that the mouse changes from an arrow to a “hand” and the buttons don’t work properly. If I try to close a window clicking on the upper right-hand X, it’s as if I am holding down the “9” key on the keyboard and everything locks up. This is on a fairly recently built machine, standard MS keyboard and mouse, PS2 connected etc. Patch was not working on my clean install and message was not completely clear. Trying to validate patch by myself, I realized that patch utility was not installed, so I ran apt-get install patch and evereythig worked fine. Good job! Thanks! Thank you! for a great post. vmware-server.2.0.1_x64-modules-2.6.30.4-fix.sh 71 patch not found. then rerun the sh script. I have used this fix multiple times, however, this time, it just won’t work. I have patch installed, I have the 64-bit version of Karmic, I have the source and header files installed, but the patch fails to work and the build fails. Any help would be appreciated. Sorry, I am running kernel: 2.6.31-20-server x64, karmic 9.10. Tiga – run ‘sudo apt-get install patch’ then rerun the fix script. i have the same issue of Dave in a lenovo sl500 with 9.10 new installation.